Russian River is easily one of my favorite breweries: from their outstanding IPAs to their American Wild Ales, they seem to hit a home run with each beer. 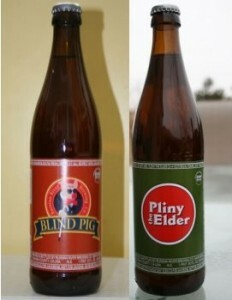 Living in Illinois it isn’t always simple to obtain some of the liquid goodness from Northern California. The only saving grace I have is my cousin Russ who lives in Southern California and his willingness to help me at every turn when it comes to getting Russian River American craft beers. 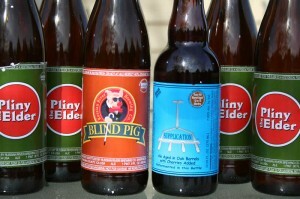 Recently I received quite the haul from him: Pliny the Elder (4), Blind Pig, and Supplication. The Pliny was bottled on September 23rd and the Blind Pig on September 07th; both have to be enjoyed rather quickly as the freshness will drop out of the hops soon. No better day than today, Halloween, to partake in a few of the stellar beers afforded the American craft industry by Russian River. Yep, I am one of the Dad’s that loves taking the kids out for Trick-or-Treating as long as the wagon will continue to produce the treats of great American craft beer. This year the wagon will runnith over with Russian River, which I am already coating the stomach with. All Hallows Eve is looking really tasty this year. Enjoy!